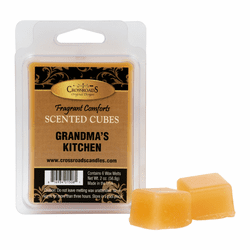 Home > Candles & Diffusers > Candles > Crossroads Candles > Crossroads Scented Cubes - 2 oz. 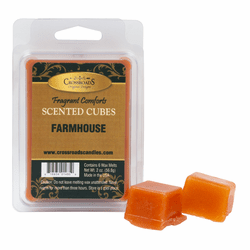 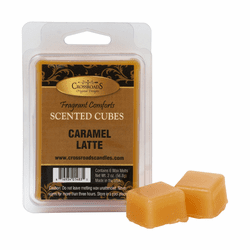 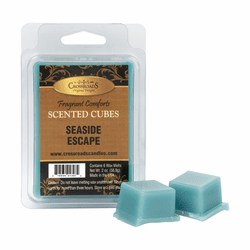 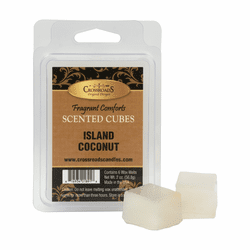 Crossroad's Scented Cubes are a great way to add fragrance to any melter. 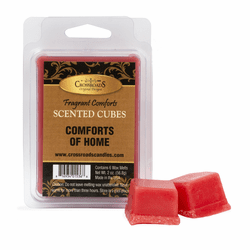 Each package contains 6 wax melt cubes, totaling 2 oz., and has a scent specific label. 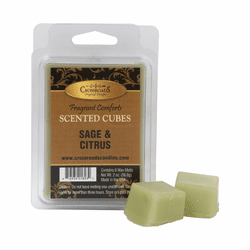 Sage, eucalyptus, cedar, and lemon peel. Bananas, walnuts, nutmeg, and cinnamon. 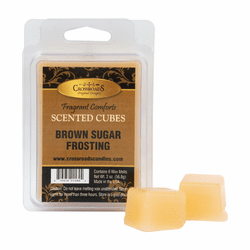 Brown sugar, cinnamon, and molasses. Cinnamon, spice, and everything nice. Buttered maple syrup, hot apple pie, banana nut bread, and vanilla hazelnut. Buttered maple syrup, pumpkin spice, and orange clove. 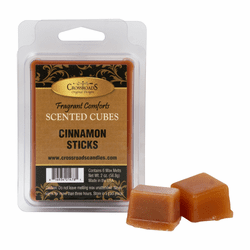 Almond, vanilla, cinnamon, and a hint of cocoa. 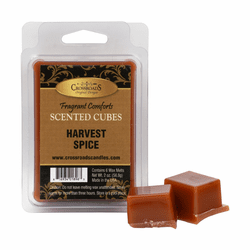 Cranberry, orange, cinnamon, and nutmeg. 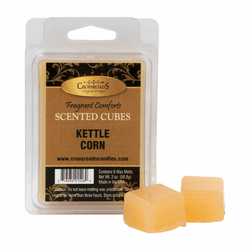 Fresh popped corn, butter, and caramel. Espresso, coconut, chocolate, and vanilla.